Lucky Ned Pepper here! I was named after a bandit in True Grit but I’m a lover not a fighter. Painstakingly sweet and lovable is how I roll! 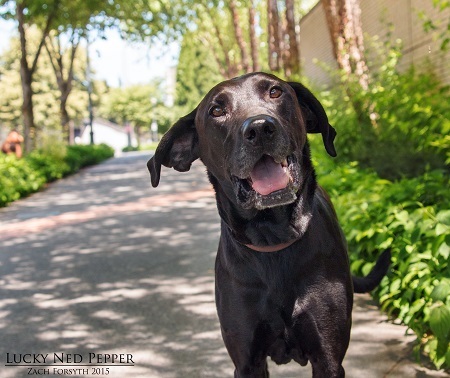 I am a Lab who is 9 yrs young with tons of fun loving energy for long walks and playtime with my foster siblings. I am a true gentleman who loves to snuggle on the couch. Keeping you company throughout your days brings so much happiness and joy. I get along with other dogs but OK on my own too. Do I sound like your kind of guy? If so, please complete an adoption application and lets meet! I come microchipped, vaccinated and neutered. My adoption fee is $200.